Cyclones that strike land from the Bay of Bengal, India, have always caused high death tolls. This cyclone was the worst of all. High tidal waves and tropical storm surges constantly strike the northwest shores of the Bay of Bengal around the delta of the Ganges River. 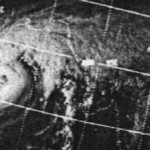 However, the cyclone that struck on November 9, 1970, surpassed all the others in terms of fatalities. It was the worst tropical cyclone disaster in history. The area receiving the main thrust of the storm was Bangladesh, known in 1970 as East Pakistan. The total death toll was estimated to be between 300,000 and 500,000 and it was indicative of the low standards of living and public administration that the range of uncertainty was so great. At the time of the cyclone, tensions were building up between East and West Pakistan because the eastern half was losing out economically and poverty was widespread. Within four months of this storm the two parts of Pakistan would be at war, leaving little hope for effective reconstruction after the storm. The powerful tropical cyclone made landfall on East Pakistan in the middle of the night with winds of 140 mph and a storm surge of twenty feet that was unusually high because the storm arrived at high tide. The whole area on which the storm struck is low-lying, only a few feet above sea level, so destruction was total. Places just vanished. Bamboo dwellings were carried away and their sites replaced with masses of mud. The low earth barriers that marked off rice paddies and homes provided no protection against the flood of water. Survivors tried to hold on to palm trees until the storm passed. Warnings of the approaching storm had been issued but there were no ways of communicating them to the many living on islands and more distant coastal areas. Large numbers were asleep when the storm surge reached them and they had no chance of escape. Because so much of the land is close to sea level, one quarter of East Pakistan’s total landmass was under water for a time. As news of this disaster reached the outside world, relief began to arrive from both nearby and distant countries. Ferrying in supplies to remote locations by air and rescuing those needing medical attention helped to save many, but the scale of the disaster was too big to reach all who were in need. Starvation, exposure, and disease kept adding to the death toll. A million head of cattle died and an unknown number of fishing vessels had been washed out to sea. More than a million acres of rice paddies were lost with their crops of rice just two weeks away from harvesting. Governments and private agencies decided that cyclone shelters were essential because of the frequency of cyclones. Over the following four years, more than two hundred of these were built with aid money from the World Bank. Another storm arrived in 1985, killing more than 10,000 people. Shelter construction continued, each structure being able to house 1,000 people, until by the early 1990s there was sufficient shelter provision for a third of a million people, a valuable help but far from sufficient for a nation that has many more than one hundred million people.